You never know who's watching . . .
Then one of them is killed - and it's clear one of the circle was responsible. 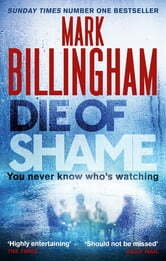 Full of betrayal, deceit and suspense, Die of Shame is the spectacular thriller from Sunday Times bestseller Mark Billingham. I really enjoy Billinghams stand alone books as more group and relational dynamics. He has introduced 2 very strong female police officers, in my opinion, in this book and Rush of Blood. I am however annoyed why Thorne appears at the end and seems to work it out immediately, as this undoes all the hard work and efforts of the strong female officers noted above. Finally if Tom Thorne really is a detective extrordinaire why aren't his own books a page long. Seriously Mark keep Thorne in his own stories. Standard Billingham, difficult to put down and as usual keeps you guessing. Cheeky cameo by Thorne too! Another jolly good read from Mark Billingham,more twists & turns than a spiral stairway, which keeps you guessing..recommended. 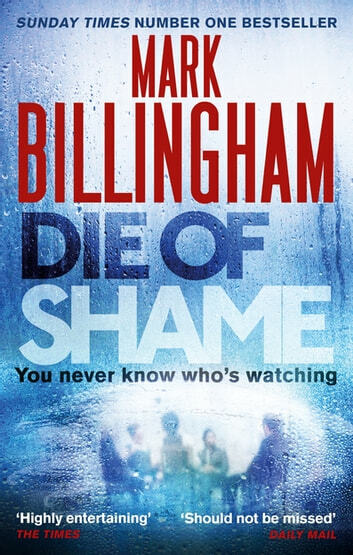 Mark Billingham's plots, characters and insights never fail to impress, down to the smallest details.